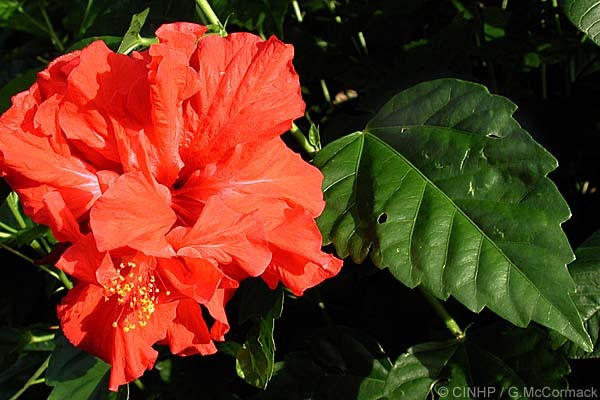 GENERAL NOTE: The two or three forms of the Scarlet-double Hibiscus were introduced by the early Polynesian settlers. The largest form is common in the mountains of Rarotonga and in gardens, and on the Southern Group Outer Islands; the smallest form is in gardens and is similar to the form collected in Tahiti on Captain Cook's first voyage; the third form is intermediate in size, has petals with shallow lobes, grows in gardens, and it may also be an ancient introduction. 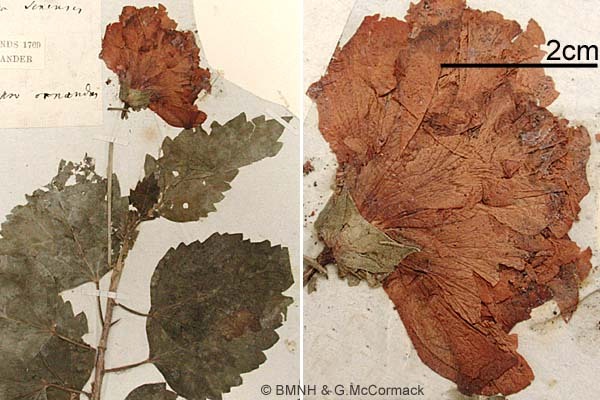 The Single-red Hibiscus is a common hedge plant and is an early post-European Contact introduction. 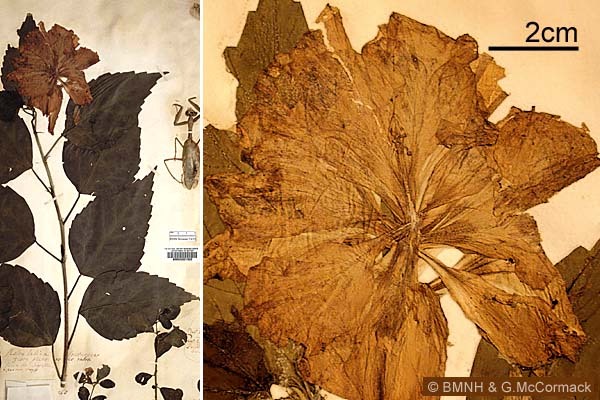 There is some evidence that this form was derived from the form with the terminal petals and or the Fringed Hibiscus. 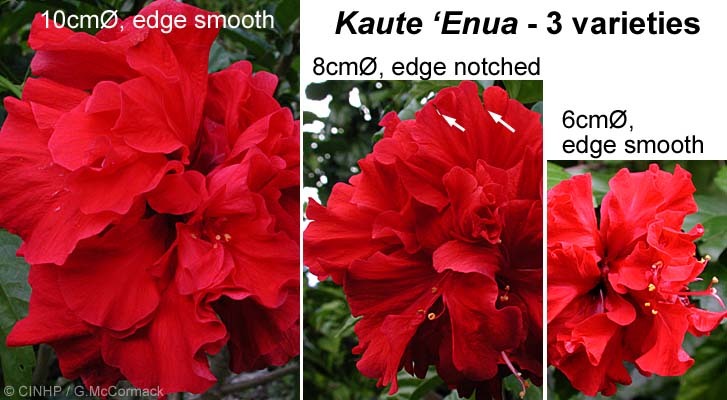 The Fringed Hibiscus, long considered a different species, is now known to have arisen as a mutation (="sport") on a plant of Hibiscus rosa-sinensis. 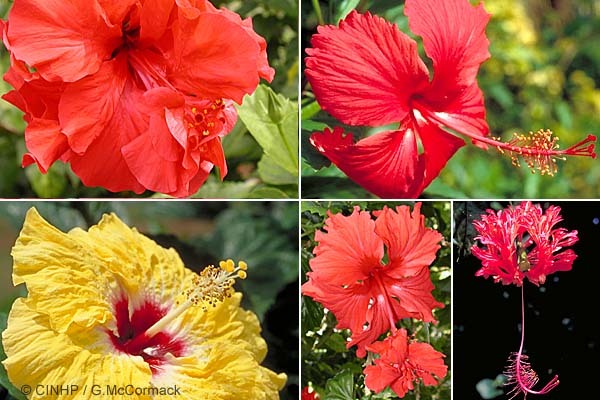 The many other forms of Hibiscus are all bred cultivares. 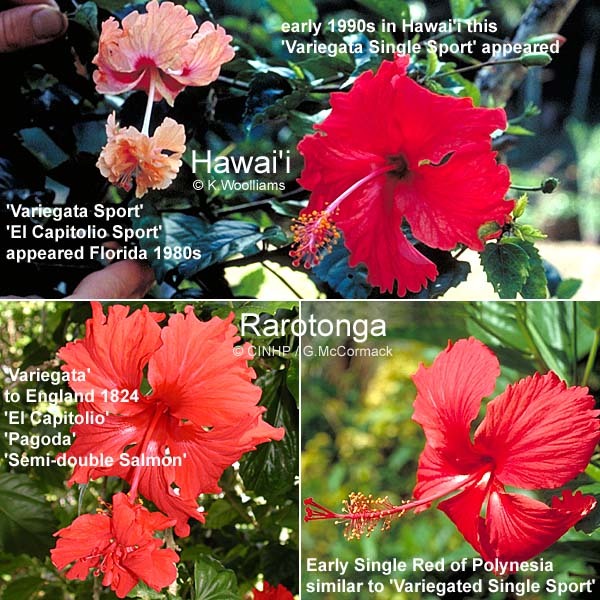 The longer lasting, firm petalled forms are often called Hawaiian cultivares because several were bred in those islands. Pukapuka: fieldspecimen, 2/2004, single-red only, rare in villages, ID GMcC.